Just a couple of the cuties heading to OFFF 2012. 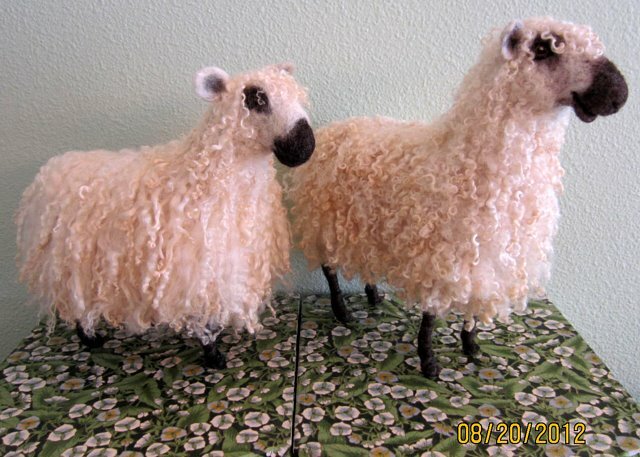 These are Teeswater sheep, made with locks of Teeswater fleece. Sturdily constructed – see previous post: “A Curlique Ewe ~ Teeswater sheep” for details of construction. The larger stands about 10.5″ tall, and is 11″ long. The shorter ewe is 9″ tall and about 10″ long. She still needs her hoof, muzzle & eye details, but is sufficiently finished to post her portrait here. Note the difference in the curl of the fleece, both equally gorgeous. This difference of appearance has to do with Teeswater breeding & genetics. In the 2nd paragraph, you can read how breeders use a ‘foundation’ sheep for artificial insemination program to build the Teeswater genetics up towards 100%, since the purebred sheep cannot be imported from England. So if you begin with the following breeds: Border Leicester / Bluefaced Leicesters / Cotswold / Leicester Longwool / Lincoln / North American Wensleydale …..you can imagine this will affect the lock structure. Some Teeswater will have tighter curls as shown on right. Others will have wavy curls as shown on left. That said, Teeswater is just a beautiful, glossy, gorgeous fleece. 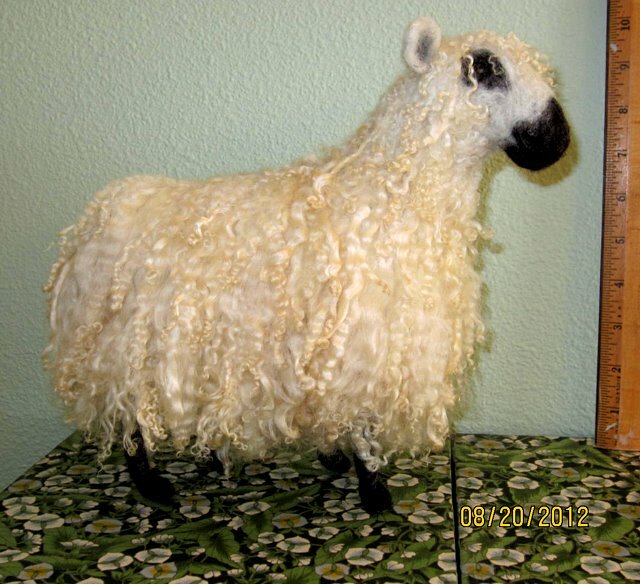 The curly structure translates into wonderful needle felted sheep sculptures. 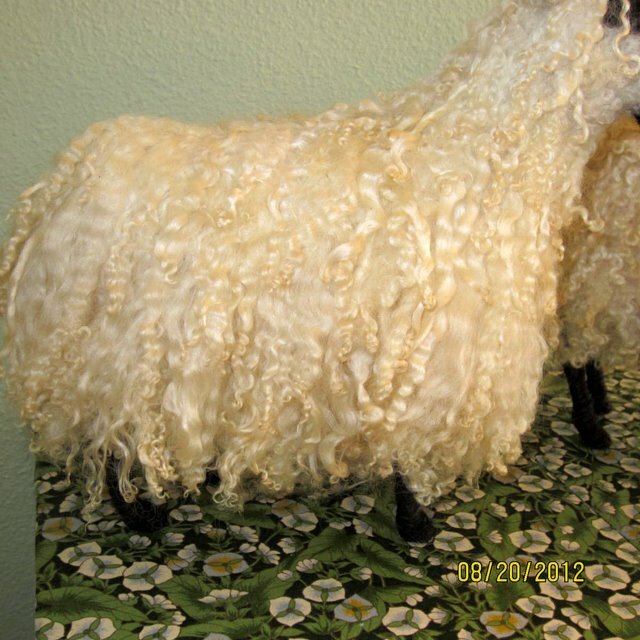 Being seeing EWE at Oregon Flock & Fiber Festival 2012!